“We’ll start a fire on both sides of this field, and it will eventually burn together,” says Dale Rollins as we ride his side-by-side utility vehicle along the ranch’s interior roads monitoring the bustle of activity that’s around. Spread out around the 40-some-odd acre field, interns, researchers and prescribed fire experts carefully coordinate their plan so that winter-cured prairie grasses and diesel-fueled drip torch are brought together to create a conflagration that (albeit contradictory to conventional wisdom) will actually benefit this land and its inhabitants therein. Rollins is articulate and animated as he talks. He’s a natural and relaxed speaker and dedicated teacher and has often been called the “Will Rogers of Wildlife Biologists.” As such, he’s dedicated his entire career to understanding the idiosyncrasies of quail and the nuanced land management they require to thrive on harsh and often inhospitable rangeland environs. When the technician inverts the torch that spurts out a stream of orange hot flame, the dried and dormant grass crackles and pops—its stores of energy built from sunlight, rain and photosynthesis turn to flame and heat in an instant. Dirty white smoke drifts high and pushes lazily to the north as the fire advances at a safe and manageable pace across the field. I feel uneasy about the fire at first as it seems unnatural to start a blaze during the peak, late winter wildfire season and in country that’s been plagued with raging and out of control wildfires over the past decade. Rollins and his crew, however, are studied and knowledgeable about fire science, and the flames behave exactly as his burn leader said they would during the safety briefing earlier in the day. A perfect mix of temperature, humidity and wind speed makes the fire behave predictably. 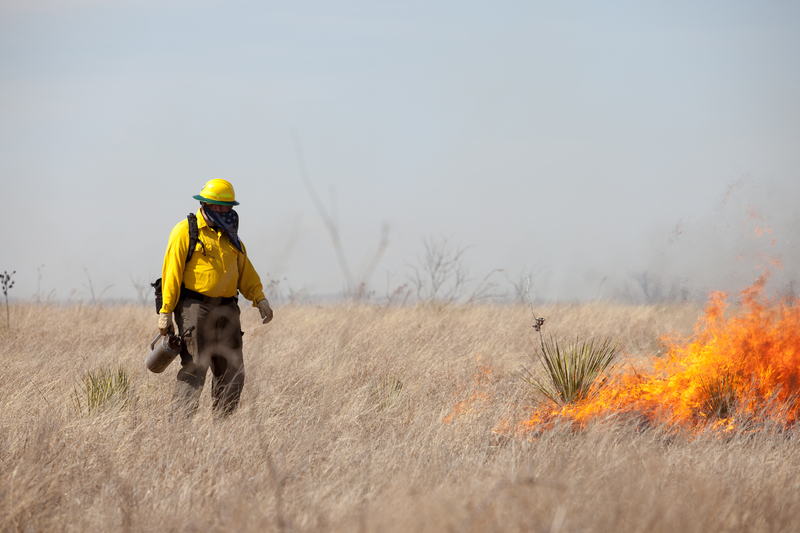 When you can control a fire, it becomes a valuable tool for wildlife managers and the team assembled to administer prescribed burns on the Rolling Plains Quail Research Ranch (RPQRR) this season wields their powers deftly. “We do these burns to monitor the long-term effects of burning on the ranch and to help create better habitat for the quail,” says Rollins. On this burn, they hope to bite back encroaching brush and prickly pear but burn at such a temperate that, with some timely spring rains, the grass and beneficial forbs will spring back to life in no time and provide the diminutive, gallinaceous birds with a fine mix of nesting, brooding and loafing cover so they’ll thrive. In the process, Rollins and his research team will add to the knowledge they’ve already collected by studying this land and learning how man can manipulate it to the point where it becomes a well-oiled quail producing machine. 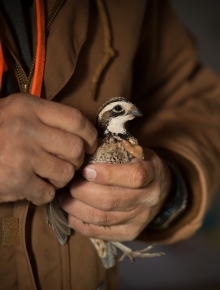 The ranch is the research arm of the Rolling Plains Quail Research Foundation, a charitable effort designed to provide resources to study the economically important game species. The idea for the ranch came in 2005 when a group of quail hunters were celebrating a momentous season but lamenting how the Bobwhite Quail’s range had shrunk so precipitously over contemporary quail hunter’s lifetime. Gone were the robust quail populations in East Texas and the traditionally strong pine plantations of the southeastern United States. By 2005, strong Bobwhite Quail populations were relegated to mostly South Texas and the Texas Rolling Plains and Scaled Quail were all but gone in places in the Rolling Plains where they were once common. The group decided that they’d try to stave off the western flank of the population decline and establish a research ranch that would provide relevant and actionable research and management techniques so that other area landowners and students of quail could follow suit. By doing so, they’d create a research station dedicated solely to the Texas Rolling Plains. Furthermore, they’d create an army of quail enthusiasts and managers who’d work concurrently using contemporary and proven management practices to help slow the species decline and help stave off the extreme boom and bust population cycles that had come to define Bobwhite Quail in the Texas Rolling Plains. Ten years later, their small idea is yielding big results. Rollins says that bobwhites can be used a marker to gauge rangeland health in the vast grasslands that run up the nation’s spine from South Texas to Canada. “So I contend that as we manage country for quail, we’re benefiting a lot of species that are never hunted. So these non-hunted species are the recipients of a lot of generosity and a lot of manpower, and they're riding on the coattails of the bobwhite,” Rollins contends. He shows me a graph of the long term abundance of bobwhite quail in the United States. Starting just before 1970, bobwhites take a roller coaster ride of sorts—their populations booming and busting during the ensuing 50 years. Disturbing, however, is the trend line that’s clearly seen without having to conduct any additional macro-data analysis—the bobwhites are disappearing. Remarkably, when you compare the population trend lines of grasshopper sparrows and eastern meadowlark to that of the bobwhite quail, the graphs read almost identically. Not only is the bobwhite disappearing but so are other grassland bird species. It doesn’t take a scientist to see these population trends as disturbing. But what’s happening to the birds? While there are plenty of culprits to blame for the loss of Bobwhite Quail and Scaled Quail populations, habitat loss seems to be the most logical to explain. What was once vast stretches of grassland ecosystem pocked with groves of trees and intermittent brush supported a vast grassland ecosystem from birds and mammals to soil microorganisms. The great prairie ecosystem consisted of vast grassland communities that collectively, protected the land from the vagaries of annual rainfall and temperature fluctuations. Beneath the soil, vast networks of roots veined through the dirt supporting macro and micro organisms and created pore space in the soil that soaks up and holds rainfall. The grass provides a mechanism for water conservation at its most banal level. Above the soil, a variety of grasses provides cover, nesting and brooding for an astonishing array of wildlife despite the sameness of the landscape. As Texas was settled, the landscape was fragmented and changed to improved grasses that were suitable for livestock grazing but created a monoculture that proved to be the demise of many of the grassland species. On the research ranch, there is always a bustle of activity. Research ranges from quail counts to monitoring long-term population trends or studying the effects of predation on quail ecology. One of their most ambitious projects that’s currently underway is to trap and trans-locate scaled quail and in an attempt to establish them in areas where they been extirpated. 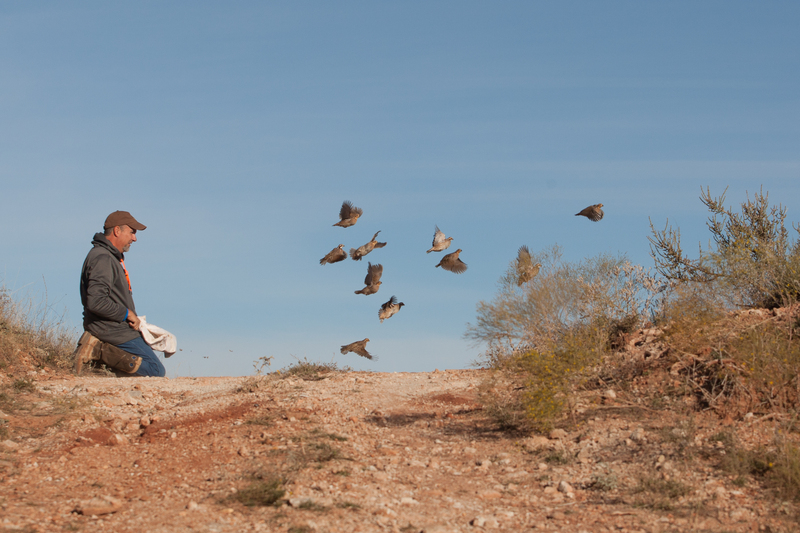 “The RPQRR operates under the maxim that everything points towards quail,” says Brad Kubecka, who recently defended his master’s thesis and has done research work at the research ranch since 2013, first as an intern and then as a graduate student. Kubecka says that very few graduate projects can truly understand an ecological system from a two or even three-year study. Fortunately, one of RPQRR's goals is to develop a long-term data set to help understand what makes quail populations tick. To that extent, the RPQRR has one of the most intensive trapping program for bobwhites in the country. 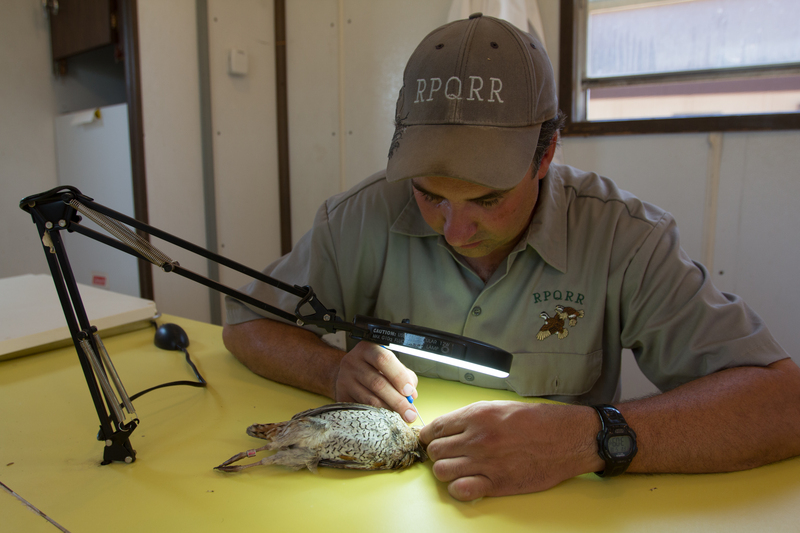 In the past 10 years, the RPQRR has trapped and banded over 14,000 bobwhite and scaled quail—placing radio-tags on approximately 10 of those caught. 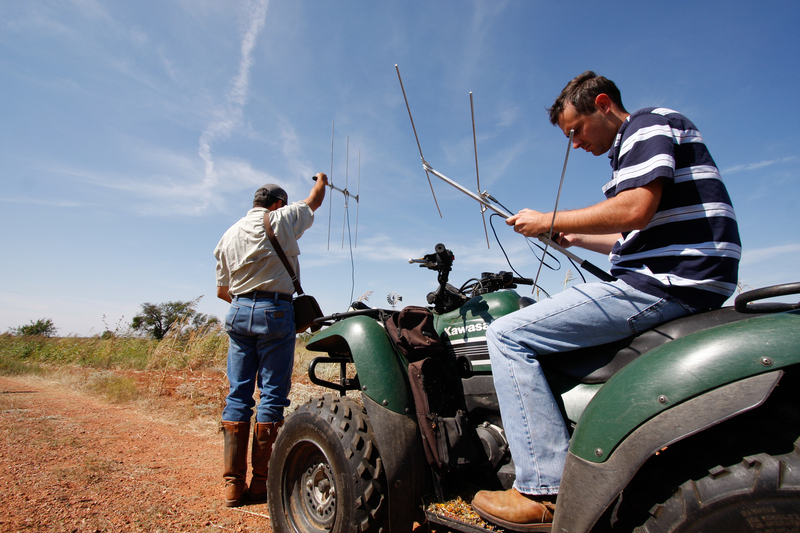 Since its inception eight years ago, Park Cities Quail has raised more than $4.5 million with virtually every penny going to assist in quail research such as that being conducted at the RPQRR. 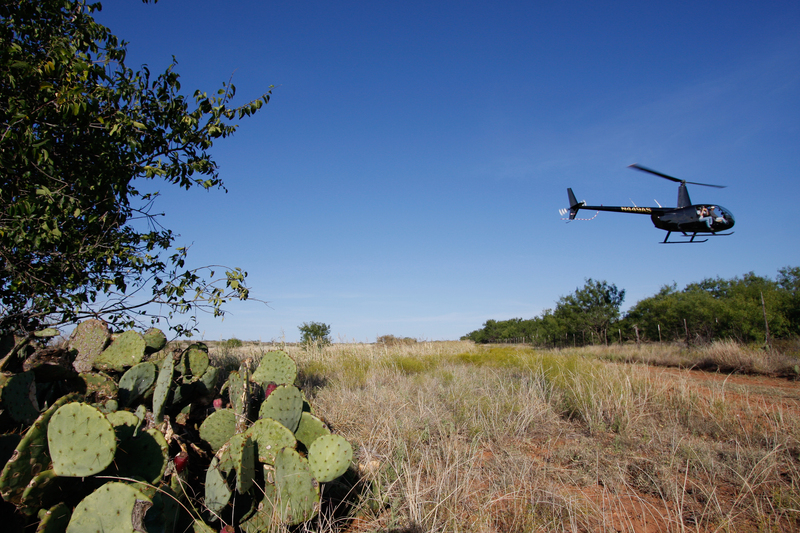 “Park Cities Quail has been the wind under our wings at the RPQRR,” admits Rollins, saying that the research that Parks Cities Quail has funded helps provide insight to unlocking the mystery of declining quail populations. In the fall of 2010, I joined Rick Snipes as we toured his Stonewall County Ranch. By all accounts Rick has perhaps one of the finest Bobwhite Quail ranches in the country. Spread across a vast patch of Rolling Plains countryside, the land is a perfect mix of sandy country that grows shinoak, little bluestem, western ragweed and a variety of other plants that fit perfectly into the quail’s biological cornucopia. The Snipes’ property was a stronghold of good quail country and a living example of what Rolling Plains quail hunting used to be. The 2009-2010 season was a banner one and one year later, the quail were gone and no one knew why. So the RPQRR wanted to find out. The research study dubbed Operation Idiopathic Decline was an ambitious, three-year collaborative effort aimed as uncovering possible reasons behind the quail’s decline. Through the study period hundreds of birds were necropsied in search of evidence that would prove the existence of a hidden factor affecting the bird’s well being. It was discovered that most of the birds examined during the study period suffered from some degree of eyeworm infestation. The eyeworm is a parasitic nematode that ingests blood from the quail and feeds predominantly in ducts behind the eye. The infestation causes swelling and inflammation in the eye and renders a quail essentially blind. Once affected, it is postulated that the infestation severely hampers a quail’s ability to survive predation and otherwise thrive. This could be the smoking gun in which Snipes, Rollins and their band of researchers were searching. 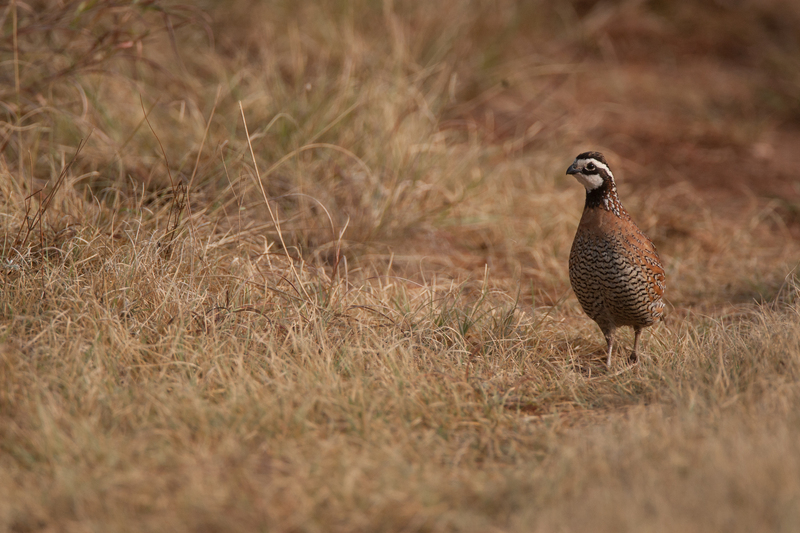 As a result, the RPQRR group has worked with scientists at Texas Tech University to develop a medicated feed to help combat the effects of a parasitic influence on quail survivability. When approved in 2018, the medicated feed will be the first ever approved by the FDA for use on wild game birds.